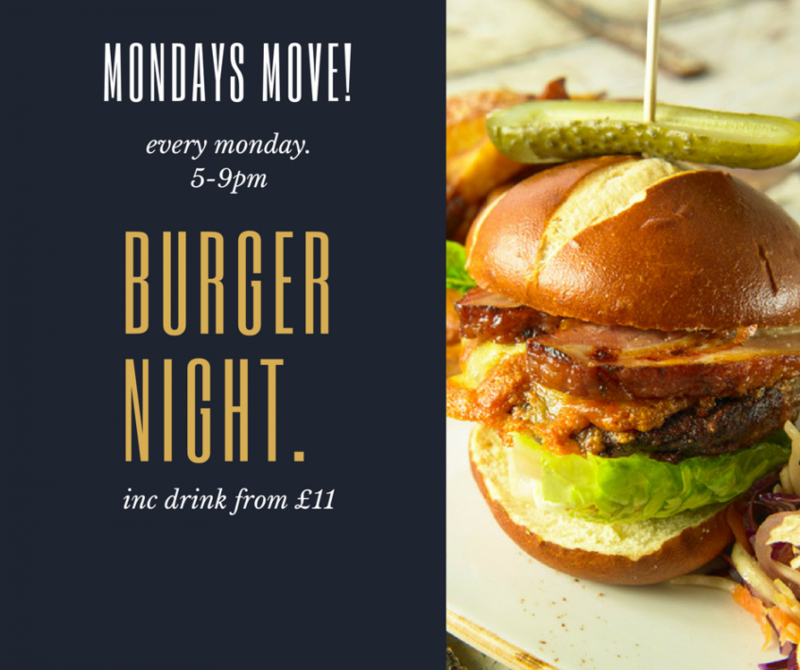 Gourmet Burger Night every Monday 5pm till 9pm. From £11 for a Gourmet Burger & Drink. All our burgers are 100% homemade and prepared freshly by our kitchen team that are passionate about creating delicious burgers dishes that you’ll find hard to resist. We cater for meat lovers and vegetarians alike and all our burgers are served in a fresh gourmet bun, served with hand cut chips and onion rings.